Ossama Farouk, known as Farouk to friends and colleagues, is a self-taught performer of Middle Eastern percussion. 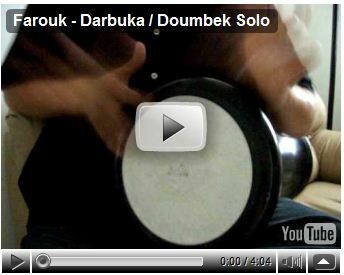 Egyptian-born, he has been playing the popular Arabic hand drum instrument named table (other names for this drum include darbuka, dumbek, doumbek, derbakeh) since the age of 5. A natural talent, he was the first in his family to develop a passion for music and percussion. A life-long dancer, athlete and musician, Mimi has performed extensively throughout the United States and Europe . Upon herintroduction to belly dancing, Mimi quickly established herself as anemerging artist, serving as a principal dancer for Serena andMaqamikaze dance companies. She was also a founding member of Alchemy Dance Theater, and co-founded Vadalna Tribal Dance Company. We have extended the date for the early discount rate to April 20th. So, if you pay in full by April 20th, you can still get the $50 discount. There is a huge discount if you are a teacher and you sign up 10 full time camp participants, can join to camp free! Happy dancing and hope to see you in camp!